Avenida Villas is located on an 0.83-acre redevelopment site, replacing an old medical office building. The design is Craftsman-style architecture and includes 29 apartments (35 dua) for homeless, formerly homeless individuals or persons with a mental illness. 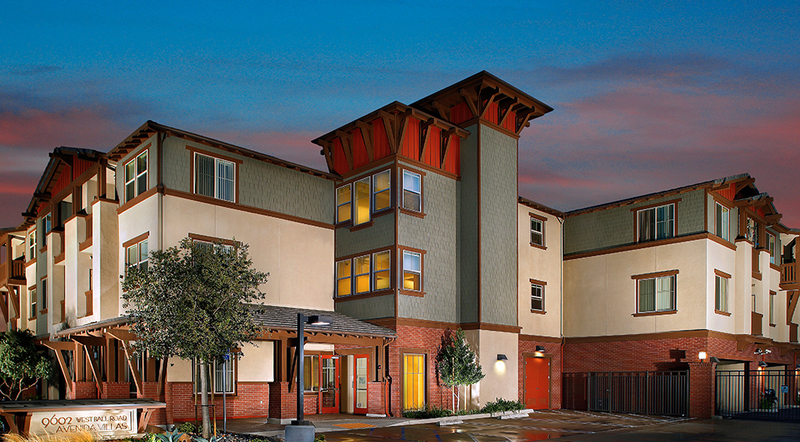 Avenida Villas was the genesis of Orange County Supervisor Shawn Nelson, who requested that AMCAL build a special needs community on the site. $4,355,000 in 9% Tax Credits was allocated in 2011. Orange County and the State of California provide funding for psychiatric care, counseling and rent subsidies through the Mental Health Services Act. The site is located near Magnolia High School in Anaheim, OCTA bus lines, Modjeska Park, a health clinic, pharmacy and market. Avenida Villas is certified as LEED Platinum. Construction is three levels of Type V with 36 tuck-under and surface parking spaces. Amenities include a large 3,400 square foot community room with a computer lab, barbecue area, and a children’s playground.